Biochemist. Born: March 3, 1879. Died: November 15, 1967. 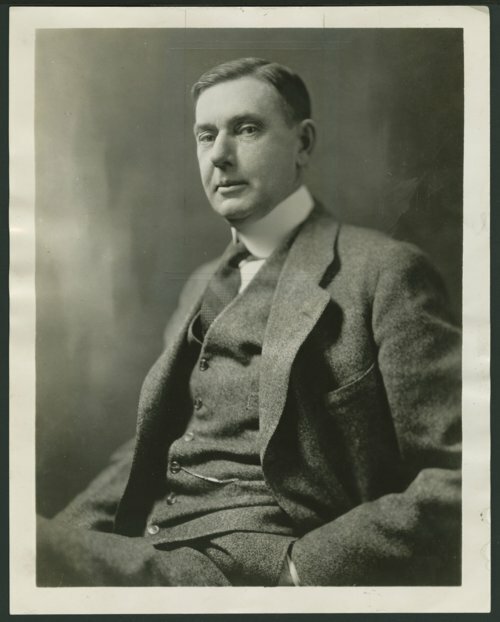 Elmer Verner McCollum was born on a farm near Fort Scott in 1879. He graduated from the University of Kansas in 1903 and earned his doctorate from Yale University in 1906. His primary field of study was organic chemistry, but he became interested in biochemistry when he worked at the Connecticut Agricultural Experiment Station. In 1907 McCollum began working in agricultural chemistry at the University of Wisconsin and became the first scientist to use a rat colony for nutrition research. In 1917 he joined Johns Hopkins University School of Hygiene and Public Health. Between 1913 and 1922, McCollum is credited with the discovery of vitamins A, B, D, and E. His research demonstrated the relationship between nutritional deficiencies and clinical symptoms of disease. He published The Newer Knowledge of Nutrition in 1918; it was the textbook used in universities for many years and influenced many dieticians. McCullum was dedicated to improving the nutrition habits of the American public and wrote a regular column for McCall’s magazine between 1922 and 1946. His advice included “Eat what you want after you have eaten what you should.” In 1957 he wrote A History of Nutrition: The Sequence of Ideas in Nutrition Investigations. He died in 1967 in Baltimore, Maryland.